This journey into the hearts of Pompeii and Vesuvius begins after a 30 minute journey along the Sorrentine Peninsula until you reach one of the most famous archaeological sites in the world, Pompeii. A professional guide will take you to some of the more famous and intriguing sites amongst the excavations of this large archaeological site to provide you with a very graphical account of all aspects of life in Pompeii before, and during, the eruption of Vesuvius in 79 AD. 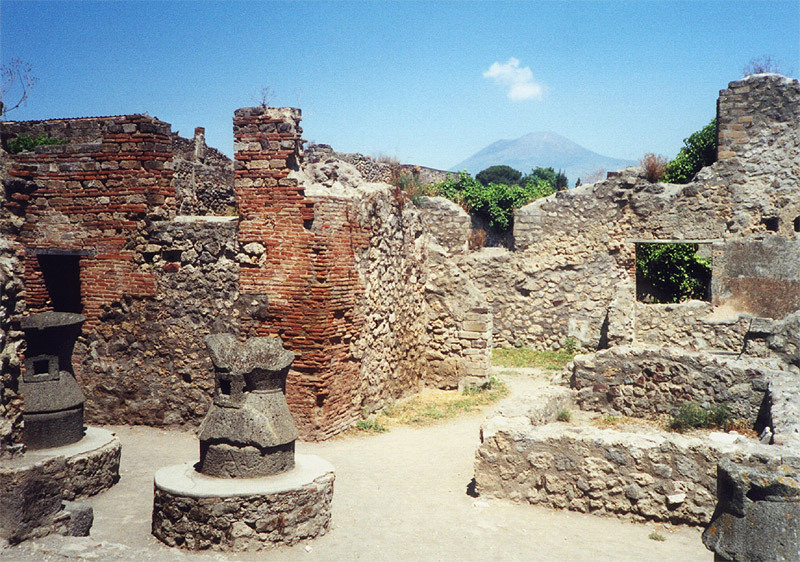 After the tour you will have some free time for lunch and to freshen up before making your way back to the coach to see the cause of Pompeii’s distruction and preservation. Your journey will continue with the coach taking you up the slopes of Vesuvius to a height of 1000 meters where you will then walk along a path to reach the peak of the volcano accompanied by a specialist mountain guide. Here you will be rewarded by an impressive view of the crater itself together with spectacular views over the Bay of Naples towards Sorrento.After walking back down from the crater your comfortable and air conditioned coach will be waiting to take you back to Sorrento by late afternoon.